Don't receive our new eNewsletter? Sign up now! 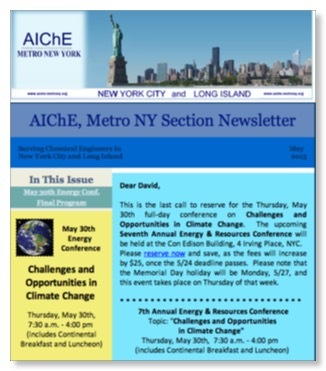 Add your email address below to receive notification of future Metro NY Section events and news of interest to the community of chemical engineers in New York City and Long Island.